Like Nike, sometimes you just have to do it. Start exploring Global Poker by creating an account. GlobalPoker is the coolest new thing for all players in the United States and Canada. Why? Obviously it’s because you can play poker in the states and cash out (still in the states) for money using PayPal! GlobalPoker has created a new business model using virtual currency combined with sweepstakes cash prizes. This allows folks in the United States and Canada to play online and cash out winnings from sweepstake gameplay. it’s totally legal. So, now that this hurdle is out of the way, you can play to your heart’s content. The client is super user-friendly, but for those who like a little push or a friendly hand to guide them along, we at PokerNews, are all about gaming assistance. Like Nike, sometimes you just have to do it. Start exploring by creating an account. You can login via your Facebook authentication or create an account with email and then start looking at your own profile. 2. The power of two currencies. GlobalPoker.com uses two virtual currencies. Gold Coins and $weeps Cash. You buy “Gold Coins” which work the same way as on many social poker sites. You play your Gold Coins and build your stack but you can’t withdraw them for real money. Global Poker also gives away sweepstakes, called “$weeps Cash,” in order to promote the sale of gold coins. Because the sweepstakes are free, when you play with them and win, you can cash out with PayPal legally in the United States or Canada. You can switch between these two forms of currency in the client in the top right-hand corner of the screen. All players get $2 free $weeps Cash and 10,000 gold coins when they sign up. One $weep corresponds to $1 in value. Decide what you want. Once you make your way into the poker client, you have some decisions to make, but they’re fun ones! You can decide the look of your tables, your avatar, whether you want your winning or losing pocket cards to show and whether you want to open tables in a new window in the settings tab next to the lobby tab. You can also decide, as mentioned above, which currency you want to start with. If you want to do multi-tabling you need to turn the Poker Pro Table Mode on. New tables will open in a new window and are resizable. From there, the game is yours! Decide from Sit & Go tournaments, cash games (hold’em or Omaha) and other tournaments. 4. Sit a few out and familiarize yourself with the buttons. Watch how others play it with the play button on the right-hand side of the screen for each different game. You can chat with others as a watcher or take an empty seat once you get comfortable enough with the flow of the action. But there is definitely no harm in watching others work before you decide to take the plunge. Other than that, you may want to work your way around the client so that you can see how the seating works, what the blinds generally run, the hands played per hour, the average pot size and the percentage of flops seen. You can look at your hand history and achievements to keep track of your own play and check out the leaderboards in the upper navigation under the lobby tab. When playing, you can color code certain players and write notes about their play in order to keep track of that. 5. Make sure to get your flops in for the day. Keep track of the challenges. Global Poker offers multiple challenges, both daily and weekly. The Daily Gold Coins Challenge and the Daily Purchase Challenge reset each day at 9 p.m. EST and 10 p.m. EST, respectively, and unlock freerolls. For the former, if you see 50 flops in Gold Coins cash games, you unlock the Daily Gold Coin Challenge Freerolls with 100 worth of $weeps Cash added. For the Daily Purchase Challenge, if you buy a Gold Coin package, you unlock its freeroll. The other challenges also relate to flops seen. The 100 Flops min 0.05-0.10 Challenge, lets players who see 100 flops in the minimum 0.05/0.10 limit $weeps Cash Games unlock the 100 Flops Challenge Freerolls. The Weekly 500 min 0.05-0.10 Flops Challenge requires you to see 500 flops in the minimum 0.05/0.10 limit $weeps Cash Games to unlock the 500 Flops Challenge Freerolls. The 111 Flops min 0.25-0.50 Challenge is like the others in that you have to find the minimum limit $weeps Cash Games and meet the number of flops. Don’t worry. You don’t have to keep track of your counts. The client will do that for you. No time like the present! Get your flops in, buy some Gold Coins or register for the bigger buy-in tournaments. The choice is yours, but have no fear! This client is accessible for even the poker newb among you. 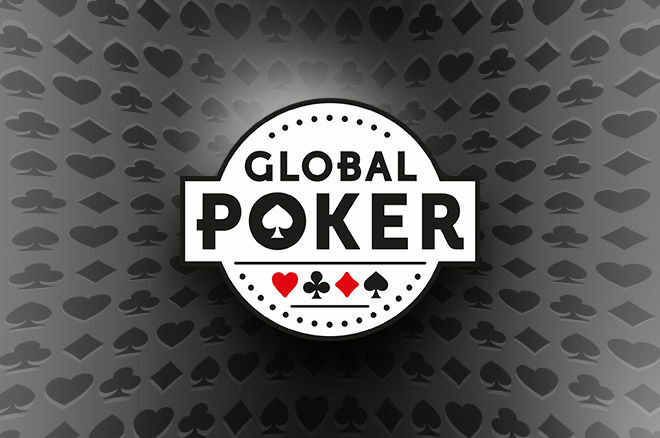 Head on over to Global Poker now to create your own account and tell us in the comments what you think!